The Majungasaurus or “Mahajanga lizard” is a genus of abelisaurid theropod dinosaurs that lived in modern-day Madagascar. It lived during the end of the Cretaceous Period, which was about 70 – 65 million years ago. 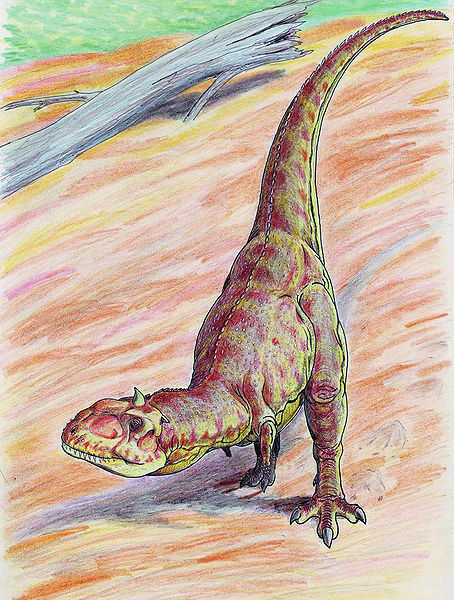 Only 1 species of Majungasaurus’ have been identified thus far. The Majungasaurus was a bipedal predator which had a short snout. 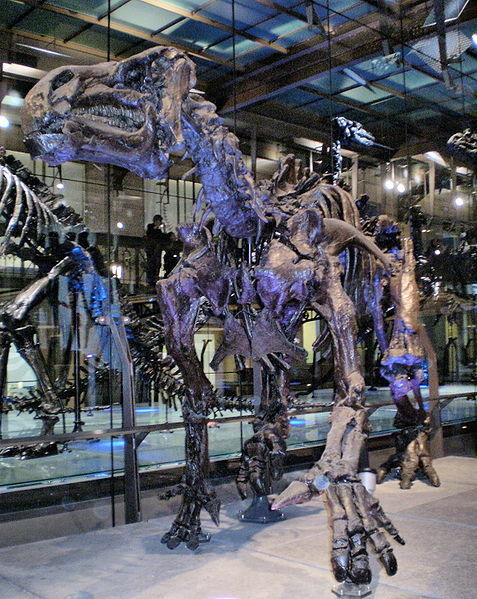 Forelimbs have not been recovered fully, but researchers believe that they were short. Meanwhile, their hindlimbs were very stock and long. Its skull is interesting to note, as it can be distinguished from other abelisaurid’s because of its wider skull, rough texture, and its thickened bone on top of the snout. There was also a single rounded horn on the top of its skull. It also had more teeth in both of its jaws compared to other abelisaurids. Several well-preserved skulls and other skeletal material have been unearthed. As a result, it is one of the best-studied theropod dinosaurs found in the Southern Hemisphere. 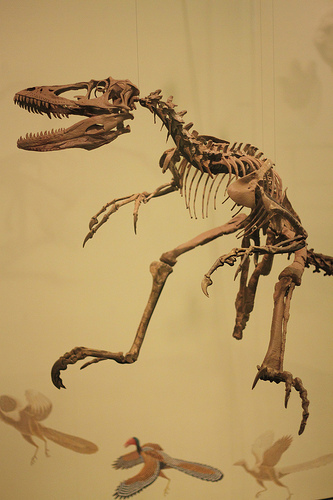 Although Madagascar is closesr to Africa, the Majungasaurus seems to be more closely related skeletal-wise to abelisaurids from India rather than Africa. This therefore would have bio-geographical implications. Majungasaurus’s were medium-sized that measured between 6 to 7 metres long. 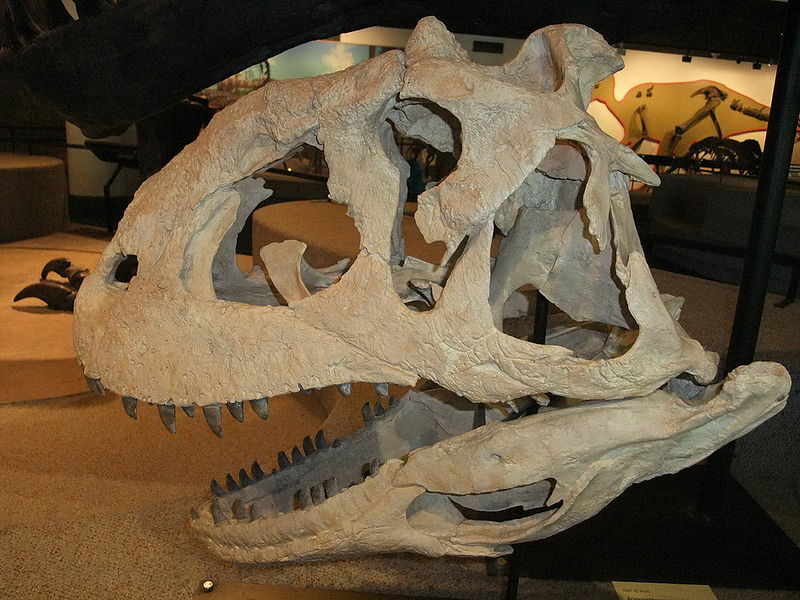 However, some remains indicate adult Majungasaurus’s could reach up to 8 metres long. It is estimated that these dinosaurs weight over 1100 kg. It is also thought that this was the apex predator in its ecosystem, which preyed on other dinosaurs such as Rapetosaurus. It is the only dinosaur where there is direct evidence for cannibalism.